Pope Francis said he was looking to write a new page in relations between Islam and Christianity that has been a cornerstone of his papacy. Pope has made boosting ties between Christianity and Islam a cornerstone of his papacy. When Pope Francis becomes the first pope to visit the Arabian peninsula on Sunday, he takes another important step in his efforts to build bridges with Islam and confirms inter-religious dialogue as a keystone of his papacy. 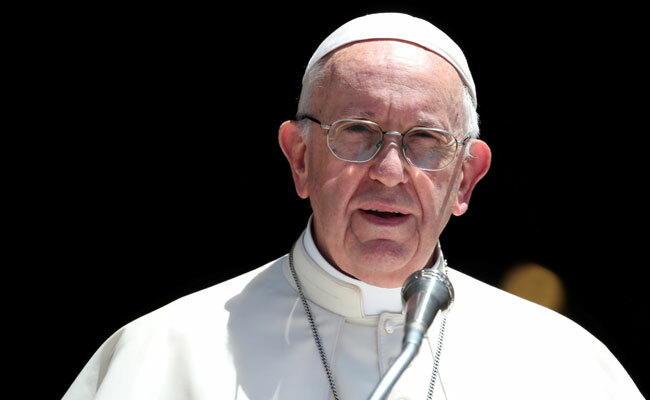 Pope Francis said he was looking to write a new page in relations between religions with his visit to the United Arab Emirates. "I am happy... to write on your dear land a new page in the relations between religions, confirming that we are brothers although different," he said in a video message to the Emirati people released on Thursday. "Pope Francis is different from his predecessor Benedict XVI because he prefers interpersonal encounters to theological subtleties," said Valentino Cottini who teaches Islamic-Christian relations at the Pontifical Institute of Arab and Islamic Studies (PISAI) in Rome. Retired German pope Benedict XVI, a theologian, spoke the most about Islam, giving 188 speeches on the subject. But years of glacial relations followed his decision to quote a XIVth century Byzantine emperor who spoke of "the evil and inhuman things" brought by Prophet Mohammed. He insisted the comment during a 2006 speech at Regensburg in Germany did not reflect his own views, but the damage was done and street protests erupted in the Muslim world. Pope Francis, however, avoids analysing the Koran. In 2016 and 2017 the spiritual leader of the world's 1.3 billion Catholics met with the imam of Cairo's Al-Azhar University, Sunni Islam's highest body, Sheikh Ahmed al-Tayeb. Tayeb, an Islamic philosophy lecturer critical of jihadists who draw inspiration from hardline salafism, will again meet with the pope on Monday in the United Arab Emirates for an international interreligious meeting. "It's either dialogue or war. We're condemned to dialogue," French Cardinal Jean-Louis Tauran said frequently during his time at the Pontifical Council for Interreligious Dialogue. Tauran, who died last year, said that the fact there was any dialogue at all was an enormous achievement. But he also feared that dialogue would be limited to "little steps at the level of the elites, which don't turn into laws, don't reach the street". Pope Francis has insisted that "the dialogue is moving forwards", but also said Muslims should look at the Koran in a more interpretive way. But, notes Christian-Islamic expert Cottini: "We have more freedom of interpretation of the founding texts of Christianity, because the status of the word of God in the Bible is not the same as in the Koran, which Muslims consider the literal word of God." Pope Francis takes great care not to use the word "Islamist" when an attack is carried out in the name of Islam, preferring to use "terrorist". In 2014, he called for Muslim political and religious leaders as well as academics unambiguously to condemn terrorism, a source of Islamophobia. He also puts Christian, Jewish and Muslim fundamentalisms on the same level -- they are all "deviations". In 2016 the Pope declined to "associate Islam with violence" when asked about the murder of French priest Jacques Hamel by two jihadists. In the wake of the attack, he said that "the world is at war" but argued that religion was not the cause. "When I speak of war I speak of wars over interests, money, resources, not religion. All religions want peace, it's the others who want war."